Buy 5 pounds or more, We Ship Free! 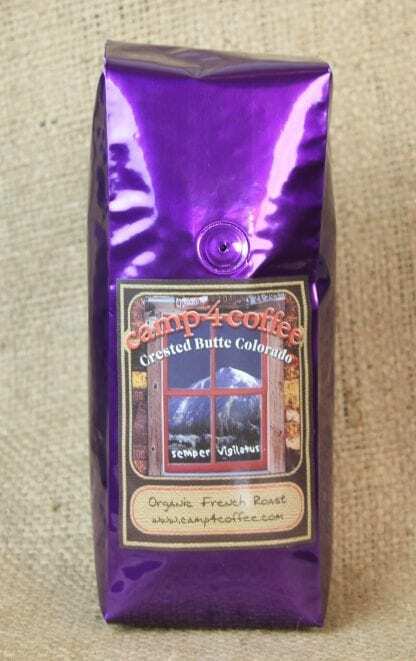 Organic Sumatran and Mexican beans combine to create a deep, dark and delicious organic brew. 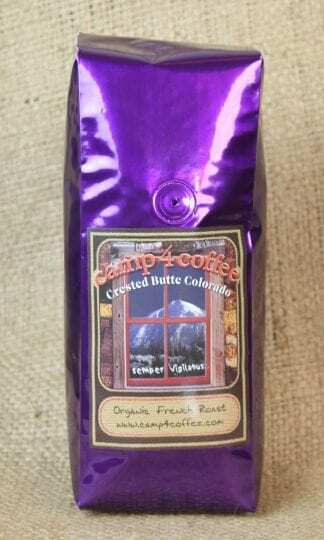 Camp 4 Coffee is located in the beautiful mountain town of Crested Butte, Colorado. All of the coffee that is served in the two retail locations and through the web is roasted by hand in small batches by human beings. In fact, only two human beings know the top-secret recipe for creating the delicious Camp 4 beans. Camp 4 is lucky to have a great team of baristas, kitchen crew and roasters, who are led by a dynamic personality known as Al Smith. Call: 970.349.5258 in the mornings only – number switches to a fax number after noon.